What is our domestic cleaning in Blackheath all about? 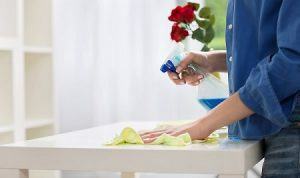 The domestic cleaning we offer at Top London Domestic Cleaners is aimed at many general cleaning services at home. You can have our professional cleaners at your home every few days or for a one off cleaning session – which best suits your needs. Our experts will take care of the tasks, such as floor cleaning, vacuuming, dusting around the place, cleaning specific rooms and more. You know well enough that such tasks take hours to complete, so why not leave that to us? One call on 020 3322 8143 is enough to book with our company! Fear not – our services are affordable! Even if you don’t have a lot to spare, it is really not a big deal. Our services are budget-friendly and come with a small price-tag, which fits every budget. It takes a quick consultation with our representative on what services you are after, and we will provide you with a free quote. That way you will see just how affordable it is to hire the best domestic cleaning services of the best company in Blackheath – Top London Domestic Cleaners. Don’t hesitate – contact 020 3322 8143 today! Blackheath is one of the districts located in the southeast part of London. Part of it is within the London Borough of Lewisham and another part is in the Royal Borough of Greenwich. The exact location falls east of Lewisham and south of Greenwich. Part of its notable aspects are the traditional pubs, village feel and vast open space. The first record of the name is from 1166 as Blachehedfield, which means dark coloured heathland. It features many of the substantial Victorian and Georgian houses. Blackheath is a huge common land area in Greater London, occupying 85.58 hectares of protected land. There are few ponds, of which Hare and Billet pond is regarded as the most natural and best habitat. Blackheath station serves the area with services to multiple other London districts. Get in touch with Top London Domestic Cleaners today on 020 3322 8143 to get a free quote for the best domestic cleaning in Blackheath. Copyright © 2004-2019 London Domestic Cleaners. All Rights Reserved. Location, XML.